Armani has recently launched their new Cheek Fabric Blushes and Sun Fabric Bronzers. These were launched to take the place of the Sheer Blushes and Bronzers that are being discontinued. I stopped by my local counter and picked up one of the blushes in 507 Flesh. It is a beautiful blue based bright pink. It looks like the perfect color for summer. All together there are 8 new shades that are highly pigmented which is the total opposite of the Sheer Blushes. The Cheek Fabric Blushes are light weight put pack a punch when applied to the cheek. All the shades have a shimmer to them but, when applied the shimmer gives a luminous glow. I have yet to pick up one of the Sun Fabric Bronzers but, don’t doubt that you will see a review on one in the future. Overall I really enjoy this blush. 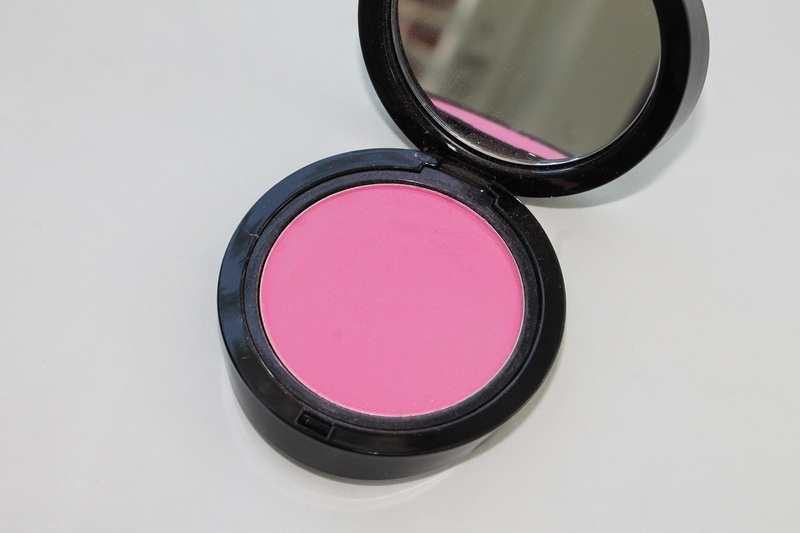 It has the same light weight texture as the older blushes but, has much more pigment. And, of course, I love the sleek black packaging. 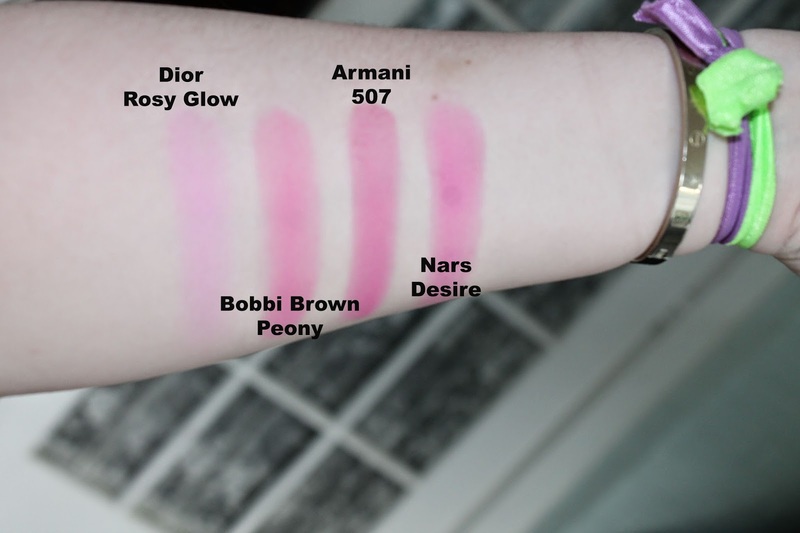 Armani Cheek Fabric blush in 507 compared to Dior Rosy Glow, Bobbi Brown Peony, and Nars Desire. As you can see Desire and 507 are very similar. Side note – the numbering on these blushes is a bit confusing so be sure to check your box when buying! 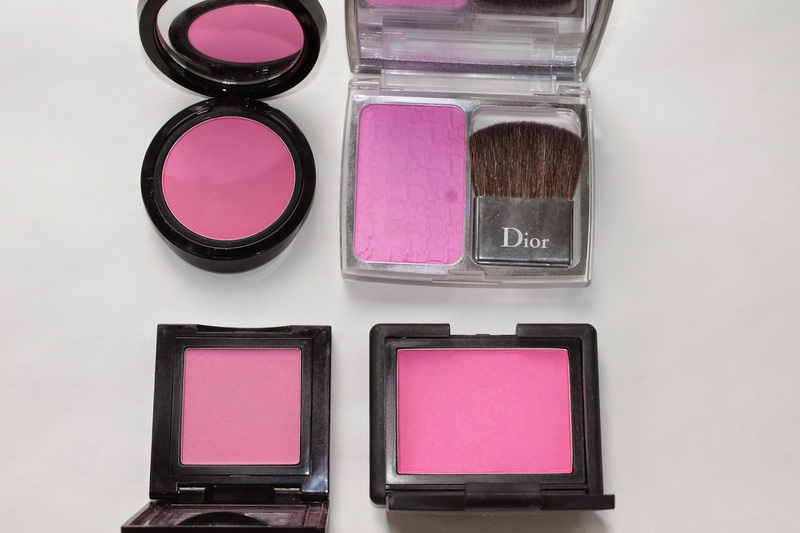 Have you tried these blushes yet ? ?